NASA’s Space Launch System (SLS) is one step closer to flight following Orbital ATK’s March 11 successful five-segment rocket motor qualification ground test. Immediately following the spectacular two-minute test, it appeared that everything went exactly as expected. 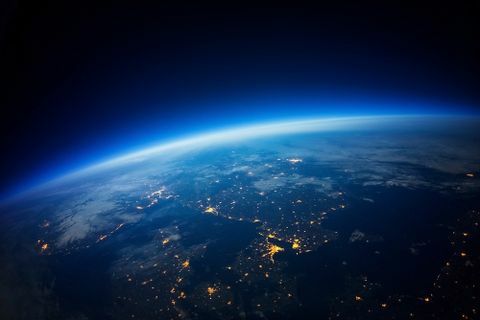 More significant is that two months later, now that disassembly has begun and engineers have reviewed and analyzed miles of data, it is clear that the test was a resounding success. NASA’s SLS will launch on its first mission, Exploration Mission-1, in just a few years, and in the future, the SLS vehicle, along with NASA’s Orion crew capsule, will take humans farther into space than ever before. 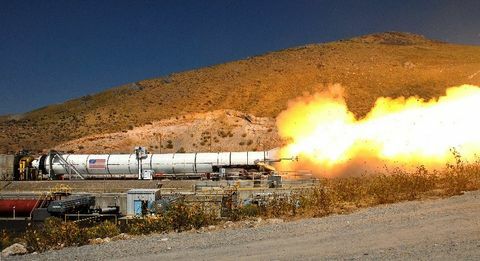 The ground test of Orbital ATK’s five-segment rocket motor, known as Qualification Motor-1 (QM-1), had 102 design objectives and was supported by more than 530 instrumentation channels. A key objective of QM-1 was to test the solid rocket motor performance at high temperature (90 degrees F mean bulk temperature). The motor’s nozzle and insulation performed as expected, ballistics performance parameters met requirements, and the thrust vector control and avionics system provided the required command and control of the motor nozzle position – exactly as planned. 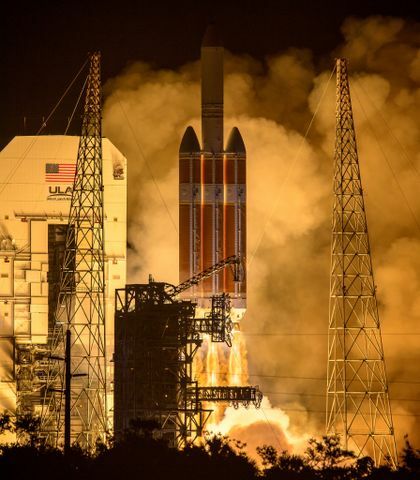 “These test results, along with the many other milestones being achieved across the program, show SLS is on track to preserve our nation’s leadership in space exploration,” said Charlie Precourt, Vice President and General Manager of Orbital ATK’s Propulsion Systems Division, and four-time space shuttle astronaut. Orbital ATK’s new five-segment boosters for SLS leverage a flight-proven four-segment design, while implementing technological and performance upgrades including: the addition of a fifth motor segment to provide increased power, an advanced avionics system, a more environmentally friendly motor insulation design, a safer flight termination system, and more efficient and modern processing techniques. These changes were designed to meet performance requirements and increase reliability, while lowering manufacturing costs. This first test of the SLS qualification phase of testing (QM-1) was preceded by a robust three-test demonstration phase (DM-1, DM-2 and DM-3) that helped to substantiate motor design. The qualification phase will conclude with QM-2, scheduled for next spring, fully demonstrating the motor’s readiness for flight. QM-2 will test the motor performance at the lower temperature limit (40 degrees). 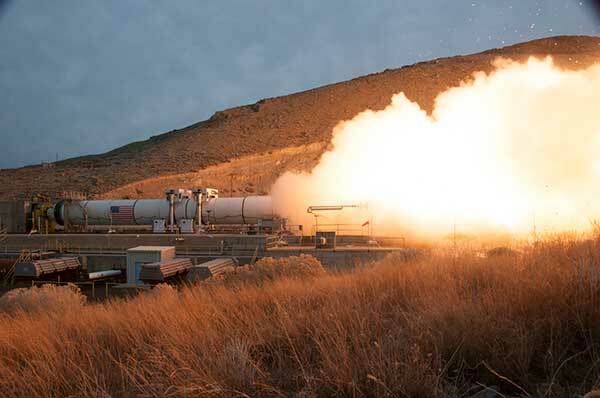 The ground test of Orbital ATK's five-segment rocket motor, known as QM-1, ocurred on March 11, 2015. 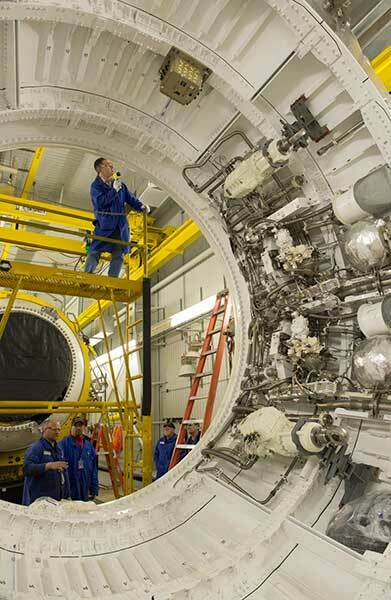 Orbital ATK technicians de-mated the QM-1 center forward segment from the forward segment as part of the qualification motor's disassembly process. 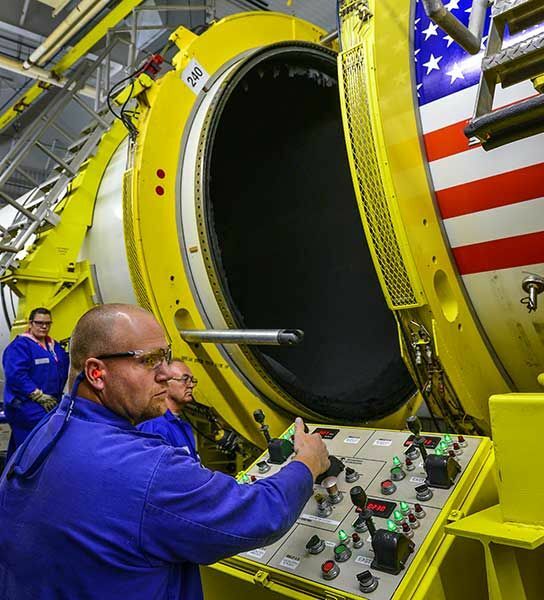 Orbital ATK technician analyze the five-segment solid rocket motor following the March 11, 2015 QM-1 test.